All 2000-2005 PL-chassis vehicles came from the factory with four wheel independent suspension. The MacPherson strut suspension incorporates a coil spring and damper into one unit, known as a strut. All four struts mount to the hub on the bottom and to the strut towers up top. The front suspension uses a lower control arm to attach the frame to each front hub. In the rear, twin lateral arms connect each rear hub to the frame. All models came with a factory front stabilizer bar, and some even came with a rear unit. Suspension tuning is an excellent way to improve the performance of your Neon. It is considered one of the strong points of the car, and with some work can drastically change the vehicles handling characteristics. Aftermarket performance springs can greatly affect a vehicles ride quality and handling characteristics. Lowering the vehicle's ride height effectively lowers the center of gravity, reducing body roll and giving the car a sporty appearance. Since suspension travel is reduced with lowering, it is wise to keep the drop within reason. If too much travel is lost, the suspension is likely to bottom out, resulting in damaged dampers and other components, as well as a terribly rough ride. Lowered springs usually have higher spring rates. This quality has two benefits. A stiffer spring makes for more nimble handling and reduces roll, but also helps to keep the vehicle from bottoming out on rough roads. Spring selection should depend on your goal in upgrading your vehicles suspension. For better ride quality, choose a taller spring with low rates. For maximum performance, a lower spring with high rates is ideal. However, as stated above, lower is not always better. It is highly recommended that aftermarket performance struts are installed when using a lowering spring. The stock dampers are not designed to work at higher rates and under lowered conditions, and will fail much sooner than normal if used. 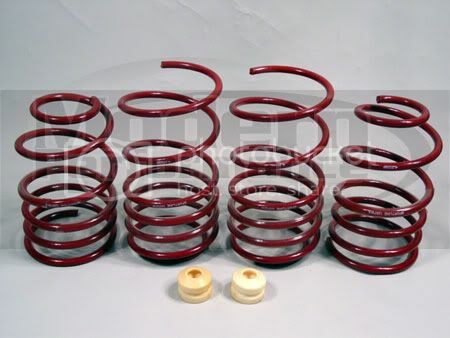 Below are a few common spring manufacturers who make quality springs for our cars. Q: Can I use 1st gen springs on my 2gn? A: Yes, they usually give close to a 2" drop. 1gn RT and ACR springs are said to give an even lower drop when used on a 2gn. 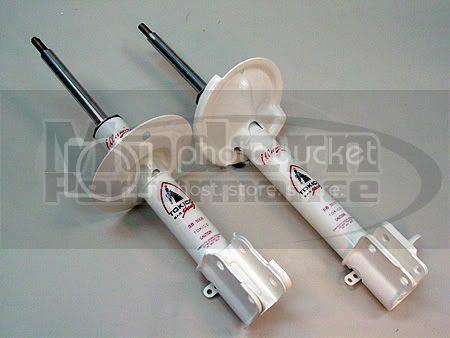 When installing aftermarket springs, a set of performance dampers (struts) is an excellent way to complete the package. Stock dampers aren't designed to work with higher spring rates and will be overworked, often resulting in premature failure and a poor ride. Performance struts will maximize handling and damper life. Below are the common aftermarket/upgrade damper options for the Neon. Q: Can I use SRT-4 struts on my car? A: Yes, they fit. But because the spring perches are higher in relation to where the strut attaches to the knuckle, you will raise your ride height with stock springs. If you use lowering springs, you will be able to lower the ride height, just not as much as those same springs would on Neon struts (about 1/2" less). The SRT-4 struts are designed to clear a larger overall tire height, so they will appear out of place when used with the standard Neon's tire/wheel package of 185/60/15 (23.74" or 603mm). Here is a post that shows the differences in the two struts. Diablo0 wrote: Well, here's a little comparison in hopes that it'll answer and show a lot of why it's hard and almost not possible to run SRT wheels w/ SRT sized tires with regular Neon struts. I have an SRT wheel with the original 205/50/17 g-Force T/A tire which is also nearly bald down to the wear indicators. Keep that in mind since with a new tire the tread will be thicker which makes the tire just a little bit taller. SRT Wheel / Bald SRT sized tire on Neon suspension setup - Notice the very small gap between the tire and lower spring perch. Now, get a new tire which has thicker tread and you're coming very close to, if not rubbing the spring perch. I'm pretty sure that strut/knuckle setup that I'm using I took off the car as once piece and they were setup at 0deg camber. If you tried to run any negative camber that would put you even closer to the lower spring perch. So you see, with SRT sized tires, you're coming damn near close to rubbing or you are rubbing if the tires have more tread. Neon Measured from lower spring perch to welded bracket where it attaches to knuckle - 4-13/16"
SRT Strut from lower spring perch to welded bracket where it attaches to knuckle - 5-1/4"
A difference of of almost 1/2" where the lower spring perch on the SRT strut is about 1/2" higher on the strut compared to the regular Neon strut. Coilover suspension systems are the top choice among serious enthusiasts. They offer supreme adjustability and quality. The coil spring and strut assembly are integrated into one unit, and use an adjustable threaded perch to allow for height adjustment. Damper adjustment may also be available on premium units. Stabilizer bars, also called sway bars or anti-roll bars, are a very common and effective upgrade for the PL suspension. They attach the independent portions of the suspension (knuckle and/or strut assembly) to the vehicle's frame. This effectively reduces body-roll and increases traction while cornering. The larger the diameter of the bar, the less it will flex, therefore resulting in greater stability. Like most suspension upgrades, larger and stiffer stabilizer bars may negatively affect the vehicles ride quality. *** Refer to the Stabilizer Bar Information section at the bottom of this page for more details. A strut tower brace (STB) presents another method of stabilizing a vehicle. By attaching the left strut tower to the right, via a solid bar, chassis flex can be reduced. A stiffer chassis is more responsive to changes in steering input and can help provide a stabilized feel to the handling characteristics. STB's are more of a fine-tuning upgrade, and typically do not result in a significant difference in the performance of the suspension system. Aftermarket suspension bushings are usually made of polyurethane and replace their stock rubber counterparts. They are used to increase the rigidity of the suspension, translating to better handling and a more precise driving feel. There are two main companies currently producing complete bushing kits for Neons. 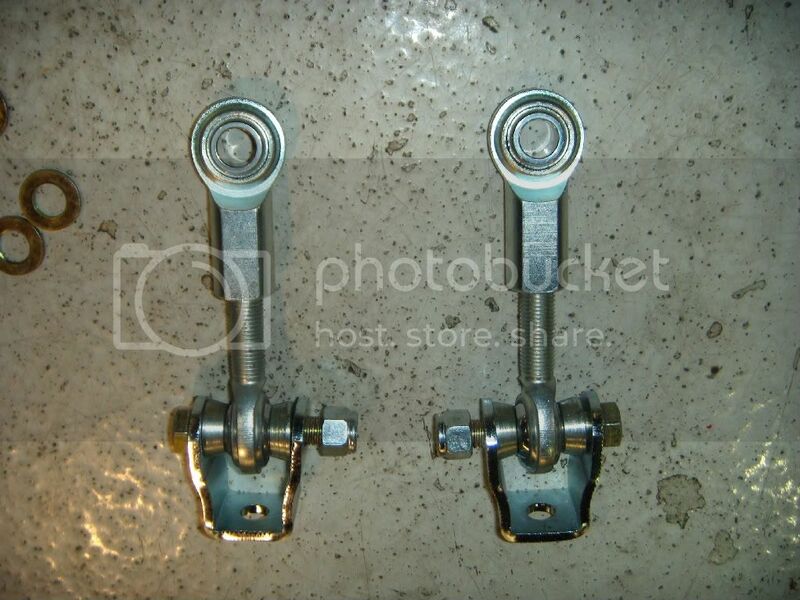 ***Refer to the post below for more information on suspension bushings and pictures. Another common upgrade to the PL chassis is the motor mounts. Both full replacement mounts and inserts are available. Replacement mounts are usually solid, making for a very stiff connection between the motor/transaxle and the frame. Vibration from the powertrain is now transferred through the frame into the cabin, making for more vibration, buzzing and general NVH. The upside of this is a lack of engine movement under hard accelleration and braking. Wheel hop can be reduced greatly by getting rid of the engines ability to move freely from the rest of the unibody. Motor mount inserts are a less expensive but equally effective way to stiffen the factory mounts. They are easy to install and work great. Brands available: Prothane, Rex, AF/X, AGP, Deyeme Racing, Avid, Boomba (Avid and Boomba are only for SRT-4). Prothane offers black (street) inserts and red (race) inserts. The softer black inserts help shift feel and give a crisper overall driving response. They also do not increase vibration excessively. However, they do NOT elimate wheel hop during hard launches. The harder red Prothane inserts do a much better job at reducing/eliminating wheel hop, but it comes with a price...of more vibration, noise, and harshness. Obviously solid motor mounts are the most effective for eliminating wheel hop. Last edited by quicksilvr on Wed May 25, 2011 11:13 am, edited 15 times in total. Q: What does upgrading suspension bushings do? A: Stock bushing are soft rubber. They're more pliable and absorb vibration. They're quiet, and they're comfortable. All the things most people want in a car. Not us, we want performance. Upgrading your bushings keeps the entire suspension more solid, especially during harder driving. There is less play, so when you turn the steering wheel while decelerating for a hard corner, everything in between the steering wheel and the tires does what it's supposed to even better, quicker, and more precisely. You will get a firmer ride and crisper response. 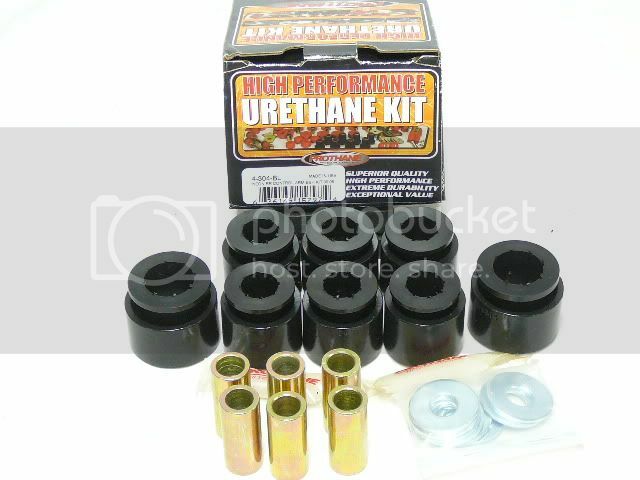 Q: What's the difference between the Energy Suspension bushing set and the Prothane bushing set? A: The biggest difference is the design of the vertical A-arm bushings. They both do the same thing, they're just designed with a different shape, and install a little differently. The Prothane design seems to be a little better, and has been said to be easier to install. Q: What are traction bushings and what do they do? A: Traction bushings are a completely solid replacement for your front A-arm (control arm) bushings. Instead of having soft rubber (stock) or stiffer urethane (Energy, Prothane) bushings, traction bushings are made out of solid steel. They get the name "traction" because they greatly reduce tire deflection. They reduce wheelhop, as you no longer have a pliable bushing in the control arm that can compress or give. Last edited by quicksilvr on Wed Jan 28, 2009 11:30 am, edited 5 times in total. All stabilizer bars from all models of the PL lineup are interchangeable. The PT cruiser front bar also interchangeable. The rear stabilizer bar upgrade cannot be added to a Neon that doesn't already have swaybar tabs on the struts. Either a custom bracket must be added to the stock rear strut, struts from an OEM equipped model can be used, or aftermarket units must be used. Also note, the correct I.D. bushings must be used with their corresponding bar. The mounting hardware is fully interchangeable. Q: What are the stock sway bar sizes? A: Most non-ACR/RT's have 20mm front stabilizer bar. Some came with a 22mm bar (2005 SXT MTX, for example). All 2000 models had a rear stabilizer bar as standard equipment. In '01, Chrysler dropped the rear unit as standard equipment, making the rear sway part of an optional package on some models. *All ACR/RT's have 22mm front and 19mm rear. *All SRT-4's have 24mm front and 17mm rear. *GT Crusiers have a 26mm front swaybar, which bolts on to all PL vehicles. Q: What are the options for aftermarket or upgraded stabilizer bars? A: Below are the most common aftermarket units. 1 1/8" front (28.5mm) and 15/16" rear (23.8mm). These offer the best performance, but are also the most expensive. They are hollow so they are lightwieght, and they are extremely high quality. 1" front (25.4mm) and 13/16" rear (20.6mm). 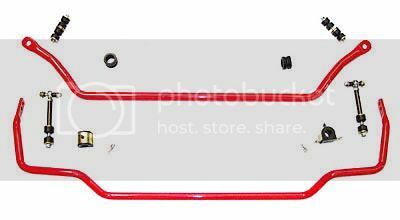 Offers just a rear sway bar, sized 22mm. 26mm front and 19mm 3 way adjustable rear. The only kit offered now through Chrysler is the SRT set (part #P4510454) which comes with the "PT" style adaptors. Last edited by quicksilvr on Sun Jun 10, 2007 5:02 pm, edited 1 time in total. All base model PL vehicles (SE/SXT) came standard with front disc and rear drum brakes. R/T, ACR, and SRT models came with disc brakes all around, as well as ABS, which was not an option on the other trim levels. The ABS system first introduced in the 2001 R/T and ACR vehicles received acclaim and is considered to be very well designed. The SRT-4 brake layout is based on the 'BR3' package, which is a designation for the performance version. It consists of thicker rotors front and rear, with the front also having a larger diameter than the standard setup. The rear caliper and drum-in-hat rotor are identical on all rear-disc cars. The only difference for the BR3 calipers is that they are painted red (no joke!). In order to allow for the 3mm thicker BR3 rear rotor, the brake pad backing plates were each reduced by 1.5mm in thickness. Also note that the rear spindle assemblies of the SRT-4 and all non-SRT cars are different, in that the tension struts mount slightly inboard on the SRT variants, to get the alignment (camber) settings correct for the revised suspension and rolling stock. Q: Can I replace my rear drum brakes with disc brakes? Q: Can I put SRT brakes on my non-SRT Neon? A: Yes. You will need SRT front and rear rotors, SRT pads all around, any PL rear calipers, and SRT front calipers. If switching from drums, be sure to refer to the How-To linked below, as there are a few more things needed. Be advised, the front SRT calipers have been known to have clearance issues with most 15" wheels and some 16" wheels, depending on offset. It is known that they do not work with any of the OEM 15x6 +40 wheels without a spacer.